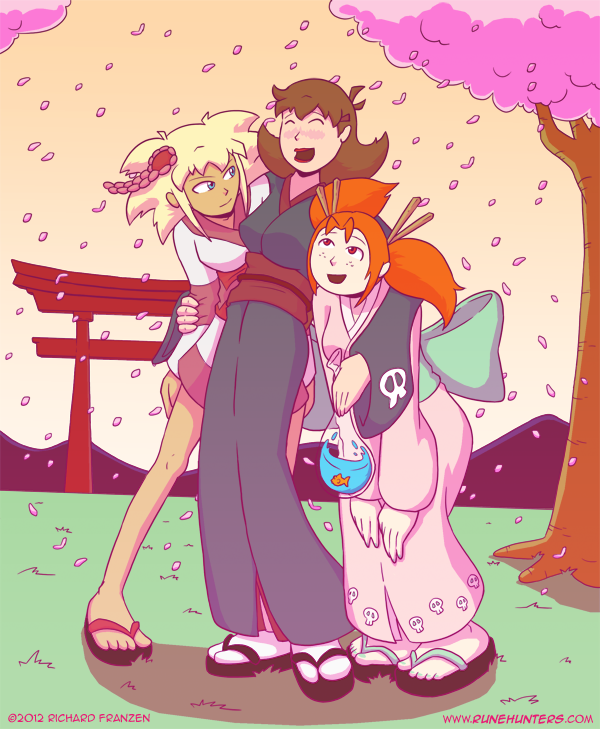 Spring is in the air, and what better way to take a mid-chapter break than to have nice picture of Asura, Kate and Ada in yukatas. Why are they in Japan? I don’t know. It’s probably because it is anime con season right now or something. And for those wondering, Ada’s side of Chapter 0 will start next week. She is used to playing second fiddle to the witch duo by now.